The studio is open by appointment only with sessions generally taking place on a Thursday evening, Friday and Saturday (we can accommodate other days in required). We have limited sessions available each week. Enquiries can be made via email, facebook messenger or phone. We do not secure appointments until your booking fee has been paid. Once this is complete, you can choose your nominated date and time. Bookings are non-refundable however we do accommodate for a reschedule of appointment if 48 hours notice is given or under extenuating circumstances. What happens on they day? It's important you arrive on time to ensure all allocated time is spent on your pet, if for some reason you are held up, it's important you notify us via phone/sms. Upon arrival your dog will be given the opportunity to explore our grassed area before being led into the studio where they can roam off lead. It's normal for them to mark their territory so don't be alarmed if they wee on our floor. We will then place your pet onto the photography stage and offer them lots of treats for staying up there! Once your pooch is clearly relaxed we will commence the session. After your session we select the best images captured on the day and create a private gallery for you to view them. This is often done on the same day, but we do ask that you allow up to 48 hours. We have three different packages to choose from and finalising your order within 3 days entitles you to bonuses! To keep our overheads low and pass on the best price to our customers, we do not have eftpos facilities. We do however have a fantastic online invoicing system that allows you to make a payment with any major credit card. We also accept cash on the day. Your finished product is delivered in one of two ways. Either in a downloadable electronic gallery - we supply a unique pin that allows you to download your files OR a quality usb delivered to your door depending on the package you purchase. Although we often have photos done within the week, we do ask you allow up to three weeks for delivery, especially in our peak seasons. ​What happens if my pet misbehaves? To be honest... we are actually expecting that! Animals can be unpredictable and we understand this. That is why we put aside plenty of time for each session. We work in a gentle and encouraging manner and at no time will your pet be forced to do something it doesn't want to do. Our photographer will follow the lead of your pet and you will be surprised how many great shots can be captured when you least expect it. 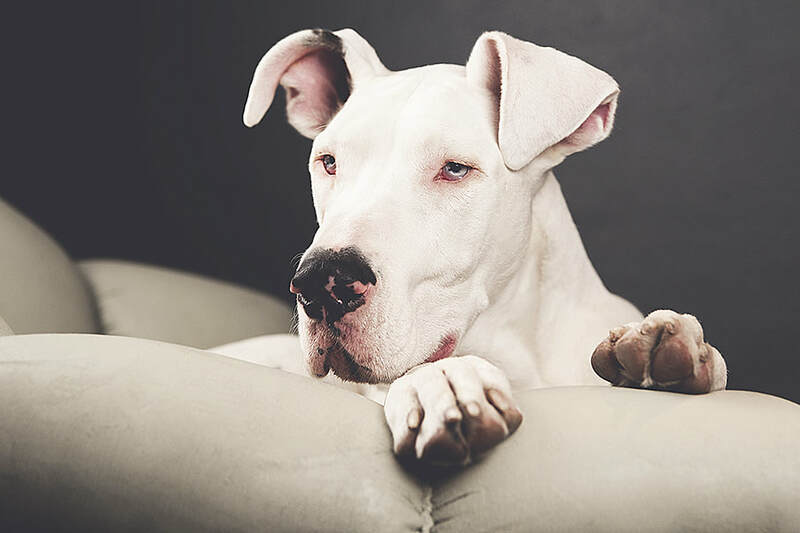 If for some reason it is just not possible to create quality images of your pet we will invite you back to the studio for a complimentary re-shoot session. I'm worried my dog will poop in the studio! Our studio has concrete and timber floors! We've kept accidents in mind when creating the space! We supply all the necessities to ensure you can clean up after your pet quickly and hygienically. Yes we do! We can personalise this for you at no additional charge.